When the Botanical Bottle Neck Vase and it’s matching partner the Botanical Flower Pot first arrived at the offices of Rockett St George, everyone loved the beauty and uniqueness of these lovely vases. So much so, that quite a few of us have purchased these ourselves to take home! A lovely little vase, the flower vase features a rounded bottom and bottle in a soft pink with a bottle neck top. 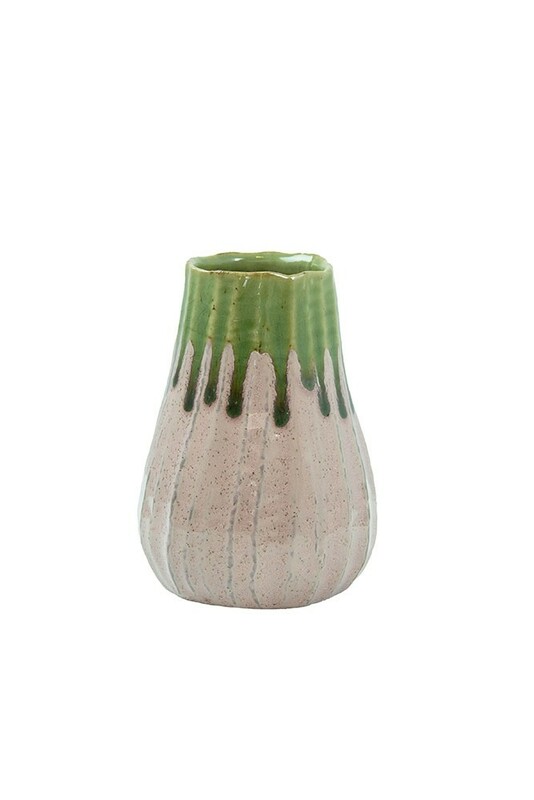 A gorgeous green paint glaze drip down from the top of the bottle neck reminding us of water. The Botanical Bottle Neck Vase also features a ribbed texture which adds another layer of depth to this stunning display vase. The Botanical Bottle Neck Vase measures 14.5cm in height. 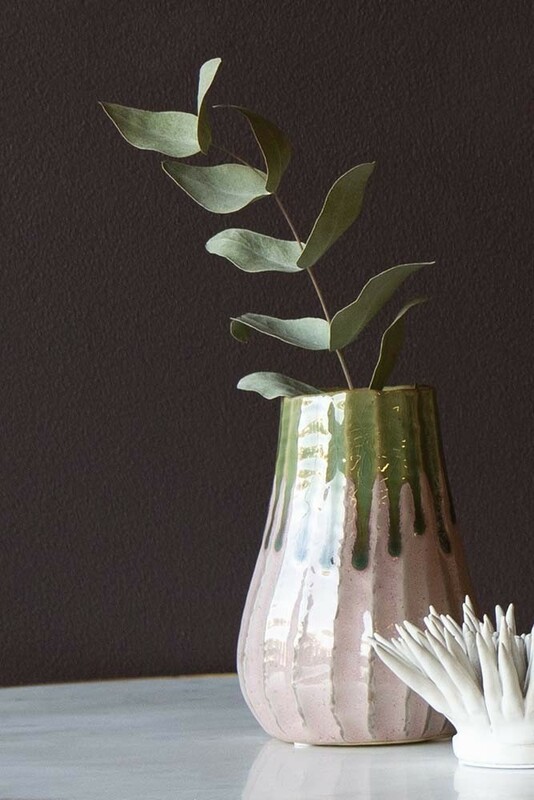 These are the three golden rules to curating showstopping displays in your home and so we always recommend taking the time to collect unique pieces like this Botanical Bottle Neck Vase to create impact and wow-factor. 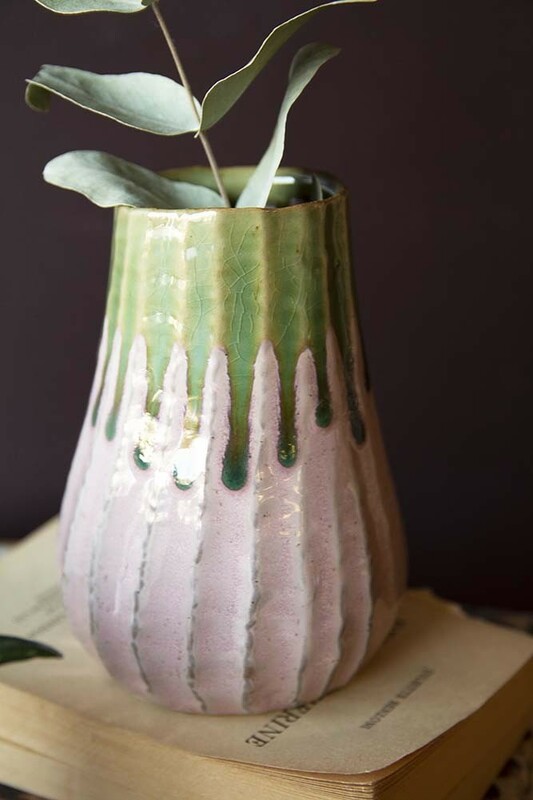 Although it may be small, the Botanical Bottle Neck Vase is certainly striking and so we think that you will love the impact that it creates in your home. 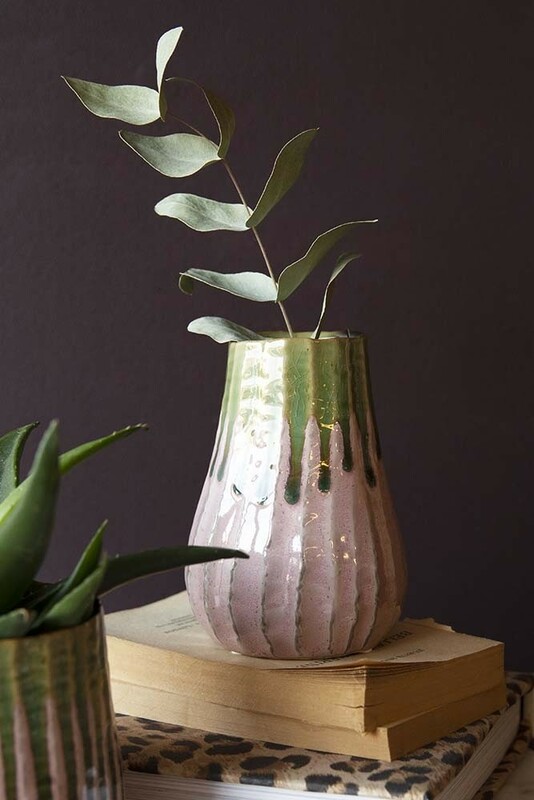 Of course, the most obvious use for this piece is as a vase for your flowers, eucalyptus and greenery. Fill the vase with a few stems of your chosen floral and display it on your side tables, coffee tables and bedside tables. It will create an inviting feeling in any room. Alternatively, you could gift this pot to a loved one as a little token of your love. It would make a lovely present for Valentine’s Day, Mother’s Day and Birthdays, reminding the gift receiver of your love every time that they see it.